In less than two months, the baton of leadership in the governance of Lagos state will exchange hands. The incumbent governor, Mr Akinwunmi Ambode will be handing over to the governor-elect, Mr Babajide Sanwo-Olu and the new government, like every corporate entity, will inherit both assets and liabilities from its predecessor. When Mr Sanwo-Olu assumes office on May 29 this year, he will be confronted with heaps of refuse. There is no part of Lagos which is not littered with refuse and it is just a miracle that epidemic has not broken out in the city. 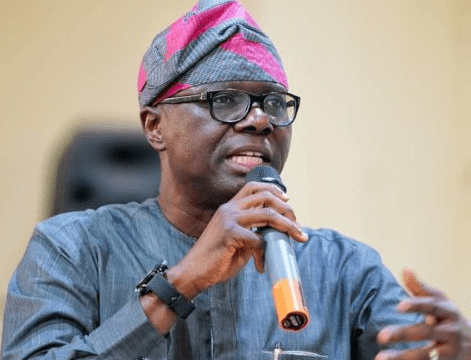 The challenge of clearing Lagos streets of dirt is one headache Sanwo-Olu will have to contend with as he rolls up his sleeve to commence work. The new government will also inherit bad roads. Many roads in the city are bad. Some were in bad shape before the Ambode government came on board and some deteriorated in the recent past. The new governor should therefore be ready to fix the roads if he wants to quickly worm his way into the hearts of Lagosians. Sanwo-Olu should also be ready to inherit the nuisance Okada riders and truck drivers have become in Lagos. The motorbike riders now occupy some roads and how they operate on the roads is sheer madness. They don’t obey traffic rules, always operating against traffic, causing accidents and beating up people including policemen who dare challenge them. When they were banned from the roads of many Nigerian cities many hoped that Lagos government would be impressed by the sanity that prevailed in cities like Abuja, Owerri, Asaba, Warri, Enugu etc where they have all been banned. Accident and crime rates dropped tremendously in those cities. Unfortunately, the sanity in those cities meant nothing to the government in Lagos from the Tinubu era to Fashola and now Ambode. The truck drivers have joined them and what we have in Lagos now is a menace. And that’s a city that wants to promote tourism? However, as Sanwo-Olu takes over refuse and potholes and the menace of Okada and truck drivers on Lagos roads, there are a number of monumental projects spread across the state which Ambode started and which should not be abandoned by the incoming government. The projects are many and they are massive and will no doubt impact positively on the lives of the residents of Lagos when completed. These are projects they will continue to remember Ambode. They are huge legacies. Some of the projects are on going while others are at the various stages of completion. Some of the notable capital projects at various stages of completion are: Oshodi Transport Interchange; Oshodi-Abule Egba Bus Rapid Transit BRT; 10-lane Murtala Muhammed International Airport Road; Agege Fly Over Bridge; Oyingbo Bus Terminal; Reconstruction of Teslim Balogun Stadium, among others. According to him, “Oshodi is known for all kinds of notorious activities and we want to totally do away with that belief and the best way to go about it is to give the people world class facility and make them to live better lives”. To actualize the dream for the axis, Ambode therefore unveiled Oshodi Regeneration Project, which would see to the development of Oshodi interchange and other facilities put at $70 million by the contractor, Mr. Biodun Otunola. Oshodi, which is regarded as the busiest transport interchange in West Africa with over 5,600 buses in 13 different motor parks loading daily, has more than 200,000 passengers boarding per day. “We have a solution to the Oshodi menace. The Oshodi Interchange you see today will be replaced with an iconic, world class transportation and commercial hub. That is in keeping with the vision of this government to transform the key city centres of the State to reflect the mega city status of Lagos, aimed at improving the physical structure, security and more importantly creating the 24-hour economy which we promised.”Ambode enthused. The on-going redevelopment is expected to consolidate all the 13 city and interstate parks into three multi-storey bus parks and terminals occupying four floors. the second terminal is at the former Owonifari Market while the third terminal built adjacent the NAFDAC office will be for intra-city transport. These terminals are being designed with standard facilities to include waiting area, loading bays, ticketing stands; drivers lounge, parking areas and rest rooms. The facilities will also include accessible walkways and pedestrian bridges/sky-walks to link all the three terminals. There will also be bus lanes, lay-bys, green parks to soften the environment, proper waste management, fencing and a dedicated security team for the area. In addition, a shopping mall covering over two hectares will be situated in the old Mosafejo settlement for recreation and entertainment among others. Ambode had assured that, “when we complete this project, we would have completely rebranded and remodeled Oshodi from a decadent situation to an iconic state. The crime rate in this area will be drastically reduced, if not eliminated. This model allows the effective allocation of tasks and risks in the development of the interchange and also ensures that finance can be easily obtained for the project. “The regeneration would definitely redefine the economic outlook of the area, as government’s goal is to make every nook and cranny of Lagos economically viable “. Managing Director of Planet Project that designed the Oshodi interchange, Mr. Biodun Otunola said construction of tunnel has been added into the project to “take commuters from each depot to the terminals to prevent buses from halting traffic flow within the axis. This is because on ground in each terminal, there could be about 70 buses waiting to commute passengers and it will further compound the traffic situation if they have to join other vehicles after loading within the same area”..
Otunola disclosed that more than 70 percent of work on the 70, 000 square meters project has been achieved. “The terminal will be all encompassing, that is, passengers will have the opportunity to shop and relax before embarking on their trip. As an extension of the project, a Public Private Partnership, PPP hotel would be built within the axis. Also, a shopping mall would be available for passengers,” he added. Despite the strategic importance of the airport road as it provides access to the major and busiest airport in the country, the Federal Government abandoned its responsibility to repair it. The road, being the access to the nation’s gateway became so bad that it was a source of monumental embarrassment which had negatively affected the country’s image. When Governor Ambode came on board, he saw the dilapidated airport road as an eyesore to Lagos. He therefore sought and obtained the permission of President Muhammadu Buhari to reconstruct the road and expand it into a 10-lane road. The reconstruction and expansion of the Murtala Muhammed International Airport Road into 10 lanes is a massive project that will take care of the traffic gridlock in the area with attendant low travel time. The sight on leaving the Lagos airport was an eyesore before Ambode’s reconstruction initiative. For a first time visitor, the sight on leaving the airport in any city creates a first impression. That of Lagos with furniture and mechanic workshops around Mafoluku painted a bad image of Nigeria’s commercial city. Managing Director of Planet Projects, the firm that designed the airport road expansion, Mr. Biodun Otunola, said it was specifically planned to accommodate more vehicles by expanding existing carriage to three-lane Expressway and the construction of two-lane service road on both directions as well as construction of Ramp Bridge to provide a U-turn from Ajao Estate to Airport and a flyover at NAHCO/Toll Gate in addition to drainage works. Others facilities included in the project are construction of Pedestrian Bridges at Ajao Estate and NAHCO/Hajj Camp, construction of Slip Road to provide access to Ajao Estate, construction of Lay-bys and installation of Street Lights, among others. Commissioner for Works and Infrastructure, Ade Akinsanya, said that the poor state of the road that accommodates about 50,000 vehicles daily, was not acceptable for Lagos status as the fifth largest economy in Africa and the nation’s commercial hub. He said in order to fast-track the project, three groups of workers would work on the project day and night, and upon completion, the project would be linked to the Oworonshoki reclamation project, which is also ongoing and is aimed at transforming the corridor to a major entertainment and tourism hub. The contractor handling reconstruction of Oshodi-Murtala Muhammed International Airport Road, Messrs Hi-tech Construction Company, had through its Project Manager, Sachi Ramsunder, recently disclosed that the six-kilometre project was about 75 percent completed and that work on the project has been intensified in order to complete it before May 29th, when the tenure of the Ambode-led administration will come to an end. An artisan, Sunday Owunka, commended the state government for expanding the airport road and the Oshodi interchange, saying both would reduce the stress which commuters experience daily within the axis. A student, Debola Ademola, told Vanguard that she could not wait to experience the facility, saying she had seen the design and believed it would change the face of Oshodi. “I have read about the facilities that would be included in the Oshodi Interchange. It will be good for most of us who are students, because it will afford us an opportunity to get whatever we need before embarking on our journey”. A banker Mr Sulaiman Odumakin said the project will change the face of Oshodi and minimize criminality in the environs and called on the government to boost security in the area. Chairman, Lagos State branch of National Union of Road Transport Workers, NURTW, Mr. Tajudeen Agbede also commended Ambode for the initiative, and expressed the readiness of his members to support the government to make Oshodi Interchange project a reality. These and many other projects in Ikeja, Epe and some other places, ordinarily, could project Ambode as surpassing or setting unprecedented landmarks at least in recent times in Lagos. And while this is not to probe why he was not given a second term, it also raises concern over his inability to address the minor things that touch the lives of the masses like portholes that lead to avoidable traffic jams, filth in Lagos following failure to clear refuse, the menace of criminals, Okada and truck drivers etc. This, no doubt quietened the voices of the masses who would have risen in his defence during the party primaries. But again, this is not about politics. It’s about the legacies Ambode initiated or built that the incoming government must complete for the interest of Lagos and Nigeria. They are massive projects that will be part of the story when Ambode leaves office.